(November 10, 2014) The Court Yard Hounds will perform at "Celebrate 10", a musical event on Saturday, November 15th at the Clinton Presidential Center in Little Rock, Arkansas. Marking the first decade of the Clinton Presidential Center and held in partnership with the Arkansas Foodbank, this intimate event will invite friends, family, alumni, and supporters to join the Clintons – and special musical guests Nick Jonas, Amos Lee, Court Yard Hounds and Kool & the Gang – by giving back through a food donation. (March 24, 2014) The Hounds will play at the Music For The Soul benefit in Austin, Tx on May 1st. The concert benefits the Kids In The New Groove Organization. Kids provide Texas youth in foster care with a one-on-one mentoring relationship through weekly music instruction. (March 18, 2014) The Court Yard Hounds will be playing at the Gothic Theatre in Englewood, Colorado on July 26th. (February 19, 2014) The Court Yard Hounds released their video for "World Smiles" today. They asked fans to submit photos that made them smile, compiling them into the video. World Smiles video. (December 11, 2013) The first listen of a new song from the Court Yard Hounds can be heard at Yahoo Music. "Bom Bom Bom" will be available for free download on the CYH official site. (October 6, 2013) The Court Yard Hounds talked to Fuse during the Austin City Limits Festival. Link to video interview. (September 13, 2013) A recap of the Hounds performance at VH1's Noteworthy benefit for Save The Music can be viewed here. (September 13, 2013) The Court Yard Hounds performed songs on KFOG radio in San Francisco. Link to interview and performance. (September 10, 2013) The Court Yard Hounds are the featured cover story in the September issue of Austin Woman magazine. (August 10, 2013) The Court Yard Hounds will be on The Bridge on SiriusXM radio Sunday, August 11th. The Hounds will be on around 8:30 AM ET. (July 20, 2013) The Hounds played an 8 song concert for WXPN radio in Philadelphia, PA. Photos and listen here. (July 15, 2013) Martie and Emily gave an interview to CTV at the Craven Country Jamboree in Saskatchewan, Canada. YouTube link to interview. 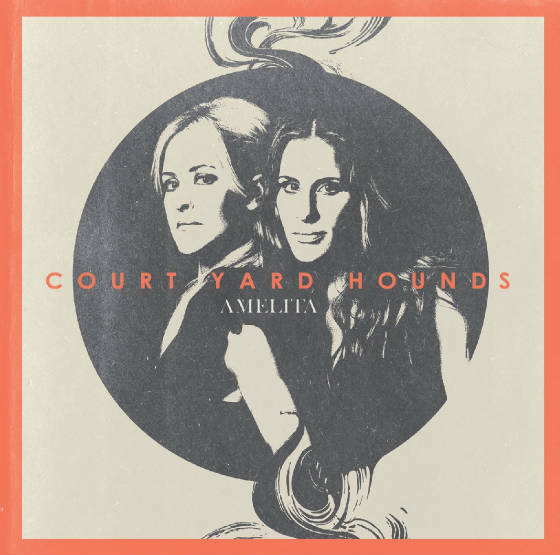 (July 14, 2013) The Court Yard Hounds will be performing this week on TV to promote the release of Amelita. (July 10, 2013) A full streaming of the album Amelita can be listened to at Rolling Stone. (July 9, 2013) Martie and Emily gave an interview to MSN Canada while at the Ottawa Bluesfest. Link to video interview. 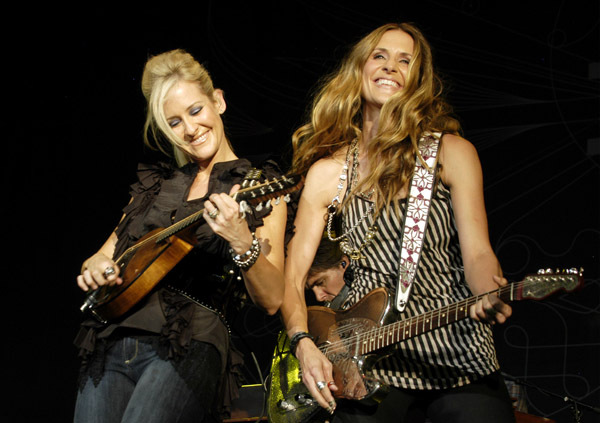 (July 1, 2013) Martie gave an interview to Female First and talked about the new album, building the Court Yard Hounds sound and moving away from the Dixie Chicks. Link to print interview. (July 1, 2013) You can receive a limited edition autographed CD booklet by pre-ordering at Newbury Comics. (June 11, 2013) The Court Yard Hounds are releasing a four song EP today exclusively on iTunes. Included is a bonus track co-written and produced by Ryan Adams called “Are You Man Enough?” Listen to "Are You Man Enough"
(June 8, 2013) The Court Yard Hounds performed three songs from their upcoming album on KXT radio in Dallas/Fort Worth. KXT Uploaded videos to YouTube. (May 31, 2013) The Court Yard Hounds sophomore album Amelita will be released on July 16th. (April 13, 2013) Martie and Emily appear in this week's episode of the Travel Channel's Trip Flip. The show airs Sunday, April 14th at 8 PM ET. 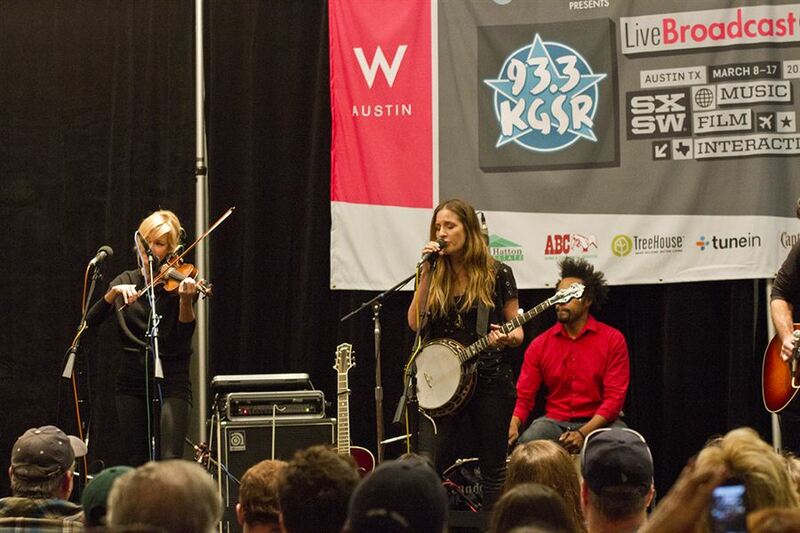 (March 17, 2013) The Court Yard Hounds debuted two new songs on KGSR radio during the SXSW music festival. Thanks to Hilary for the MP3s of "Amelita" and "Sunshine".